This was the word that we all used to shout in the streets whenever we required a vehicle for our transportation needs. Those days are almost gone (even though it’s still there in some parts of the world). Automation has begun to transform the entire fields, and the taxi industry is not different too. The automation of the taxi industry has been a boon to the taxi company owners as well as the passengers too. It has provided the owners with better insights and the opportunity to organize their companies and the taxi drivers in a better and advanced way. Develop a perfect taxi dispatch software for your taxi business and get updated to the present digital times! In some major cities like London and Toronto, are putting down certain restrictions on private cars in an effort to combat the increasing air pollution. Some of the other ideas behind such measures also include easing down the traffic congestions and the limitations of paring plots in the major city areas. so that traveling to the cities in private cars will be less, and also increased parking fees for diesel vehicles. Such a measure will only make the motorists antagonize. Forcing private car owners to use the public transport system which is not yet efficient is not going to solve the problem. However, as the number of electric vehicles(EVs) possessed by the taxi industry will only have a deeper and positive impact on the people living in cities. With the usage of electric vehicles, there will no either noise as well as air pollution. It will prove beneficial at the beginning itself. For taxi companies, electric vehicles definitely hold a promising future. In the beautiful city of Amsterdam, it is founded that there are more than 160 electric vehicles. They provide transportation facilities to the passengers from the airport to different parts of the city! have the facilities to use both public and private transport through the app named “Whim”. All these practices are made to make the cities less congestion free. The traffic will flow more freely and using of taxis will become more common by the persons who own private cars. Also, it makes much more affordable, since the decreasing journey times. You may be wondering what is the relation between taxis and e-commerce. E-commerce has all the capability to create some additional revenue for the taxi business. Integrating e-commerce and taxis enable taxi vehicles to take deliveries during off-peak business hours. The purchases made through e-commerce stores are usually not so bulky. Usually, the conventional delivery service providers use big vans for delivery purposes, which could easily fit into the normal taxi cabs. This concept of transporting the delivery of goods in normal taxi cars is not a new one. Amazon did trial by using the taxis in the year 2014 in San Francisco in cooperation with the Flywheel mobile app. The taxis carried out the delivery of the ordered products in the early morning hours. During that time the number of rides for the drivers will really less, or nil at times. It was also helpful for the taxi drivers where there will be absolutely little rides during these hours. Developing such cooperation with businesses is not just for big multinational giants. so that they can find out the real potential for delivering the products and services provided by them. Connectivity among different places is an unavoidable necessity. As the connectivity in our daily life improves, so does to the taxi companies. The latest advancement in technologies like Google Maps and other applications reduces the length of journeys. It enables us to re-route the trip in accordance with the hardships or congestions in the roads. Also as the coverage and strength of cellular networks improve, the traffic flow will get more advanced and high tech. This not only reduces air pollution but also air pollution will be less from the vehicles moving at optimum speeds. The future of the taxi business is really bright and wonderful for sure. 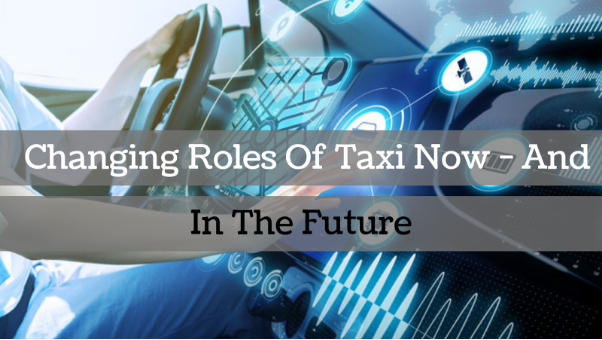 The chances for these taxi companies to earn more profits will be high with the integration of most modern and advanced technologies. so, will definitely help your taxi business to gain the best financial rewards the present as well as in the future.